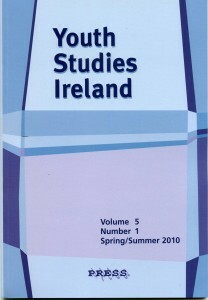 Youth Studies Ireland is the first professional youth studies journal to be published in Ireland and was established in 2006. The journal, published by the Irish Youth Work Press, represented the coming together of people interested in youth affairs throughout the island of Ireland. It is an interagency venture that was piloted and supported by a number of organisations and agencies: City of Dublin Youth Service Board (CDYSB), National Youth Council of Ireland (NYCI), Irish Youth Foundation (IYF), NUI Maynooth, the Youth Affairs Section of the Office of the Minister for Children & Youth Affairs (OMCYA) and Youth Work Ireland. Further financial support has since been received by CDYSB, IYF and Youth Work Ireland. Youth Studies Ireland is published bi-annually, overseen by an academic Editorial Board and advised by an Advisory Committee which includes representatives from youth work organisations, colleges, state agencies and funders across the island.